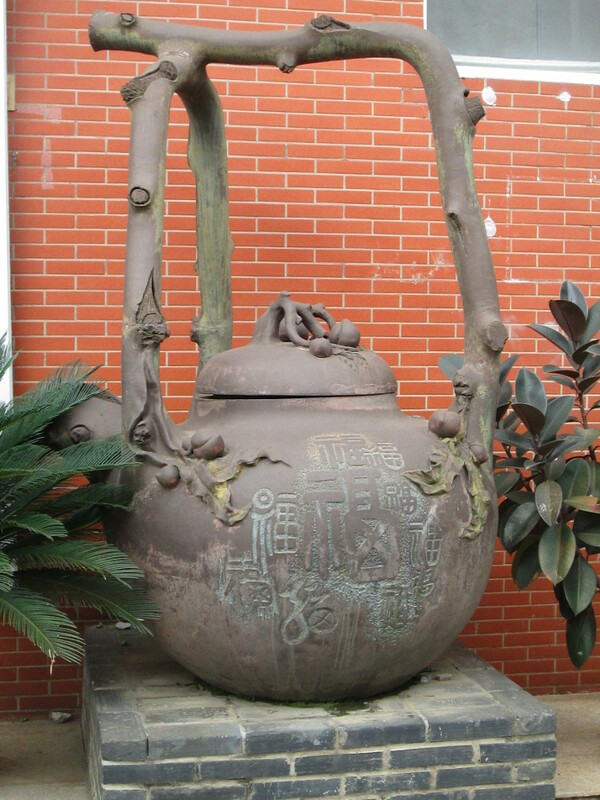 When we’d initially planned on basing ourselves in Kunming, the idea was to make it a starting point for visits to tea plantations in Yunnan Province, with special interest in Puer. In the end our change of plans – and our need to shorten the overall journey by three weeks – meant cutting the whole Puer section and the onward route to Laos out of our itinerary. 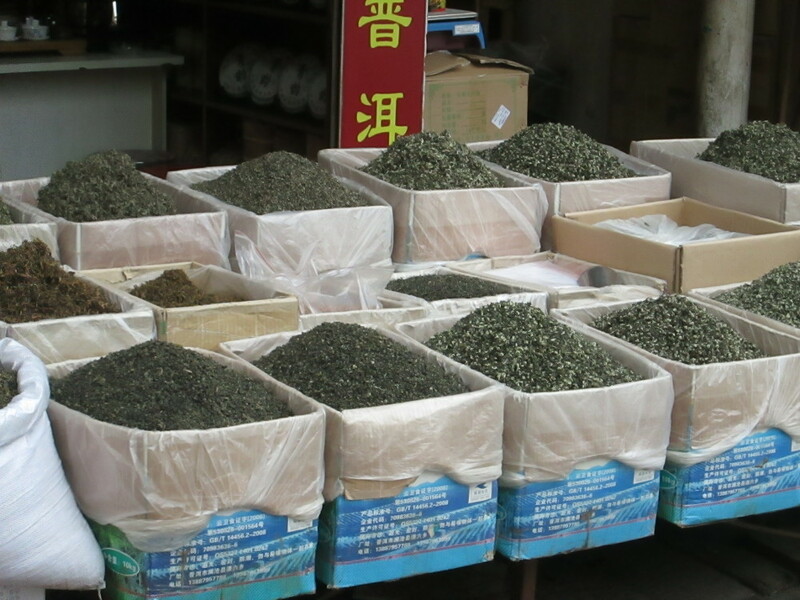 So we were delighted when US-based tea specialist @CrimsonLotustea told us about Kunming’s amazing tea markets. 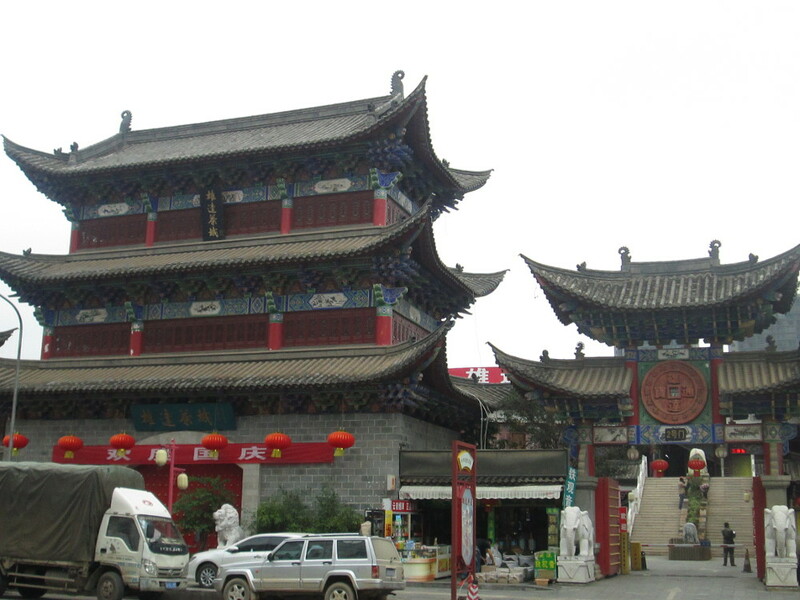 Jinshi Market is on the northern edge of Kunming, easily accessible by bus (number 25 goes nearby), though we were given a ride by our hotel. It is enormous, and extends across acres of land on both sides of a busy road. Now, on an early Sunday morning, don’t expect throngs of customers or even traders shouting their wares and prices. This enormous place is deserted if you get there too early, though by the time we left mid-morning most shops had opened up. 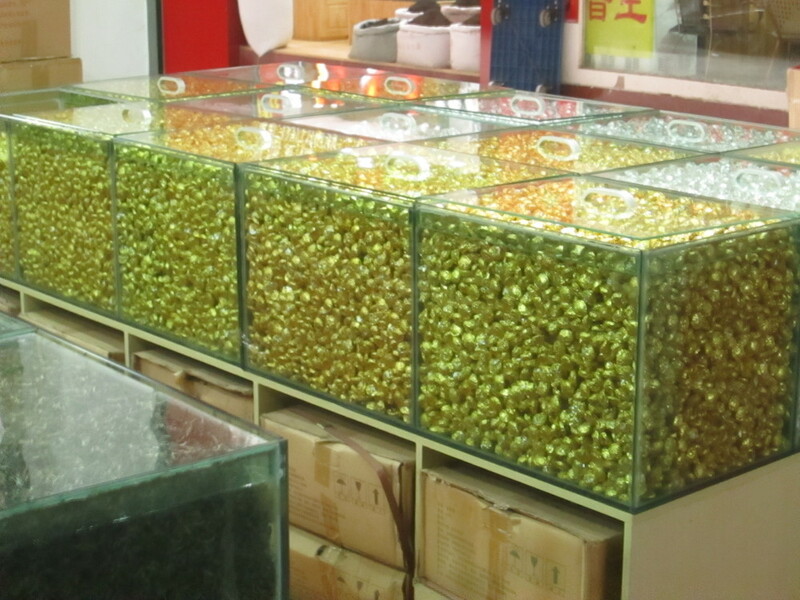 There are hundreds, probably thousands, of those wrapped cheese-shaped puer cakes. The trouble with these is that, as a consumer or buyer, you need to know what you’re getting, as it’s very easy to pay over the odds for poor quality, and the really good stuff is so expensive you’d need to remortgage your house to have many pots of the stuff. 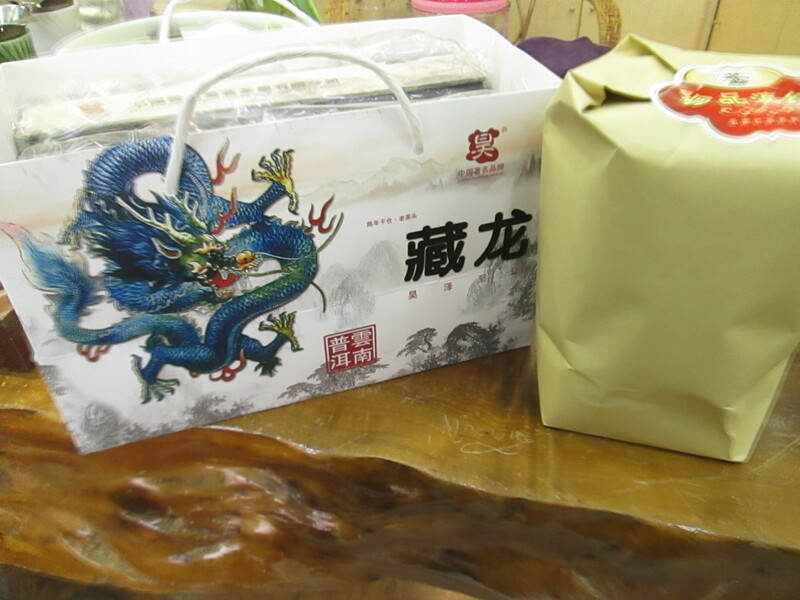 And there were intriguing boxes full of small packages, wrapped in gold or silver paper, that would be mistaken for sweeties by a western kid visiting here, but are actually (I think) small quantities of puer. 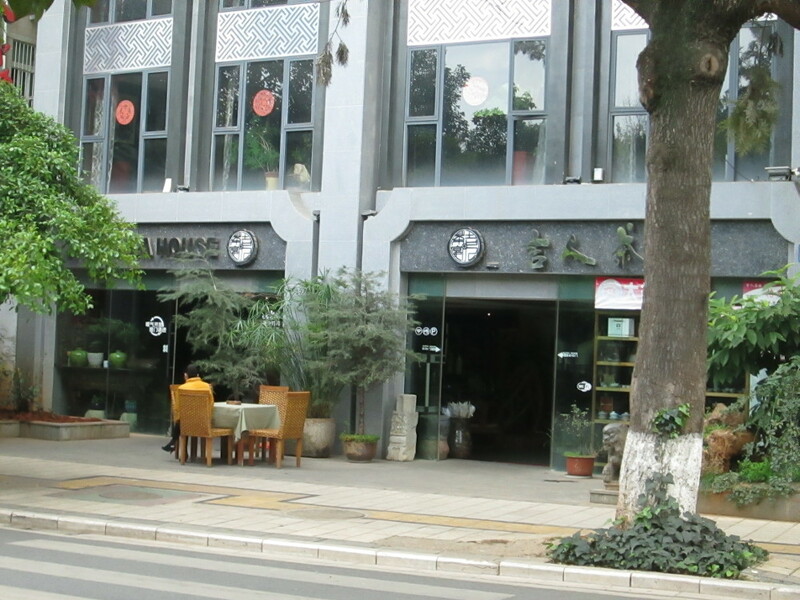 As I’ve said before on this journey, you can always go into any tea shop and ask to taste or sample, but there is then usually some pressure to buy, so you need to choose carefully before you take the plunge and enter one of these shops. We made our pick and spent a wonderful hour with a young woman who was selling teas grown not far from Puer and from Jinghong, further south in Yunnan. With no English on her part, and very very little Chinese on ours, there was lots of sign language to indicate what we fancied. But even then, with pointing and playing tea charades, you can get to a stage where there is a block in communication. How DO you get across the idea that you’d like X tea in a packet the same size as Y tea, when she only has packets of Y tea in that size and the X tea is all loose. It may sound easy to get across, but this took at least 10 minutes, and ended up with a lot of use of hand held calculators to bring up numbers I hadn’t yet learnt in Mandarin. Still, we did come away with some lovely looking black loose leaf tea from Yunnan, which was NOT puer; and a gift box set of small puer tea containers. I’d really love to have tried the red tea, but couldn’t face going through another hour of gong fu ceremony and more linguistic mime games. 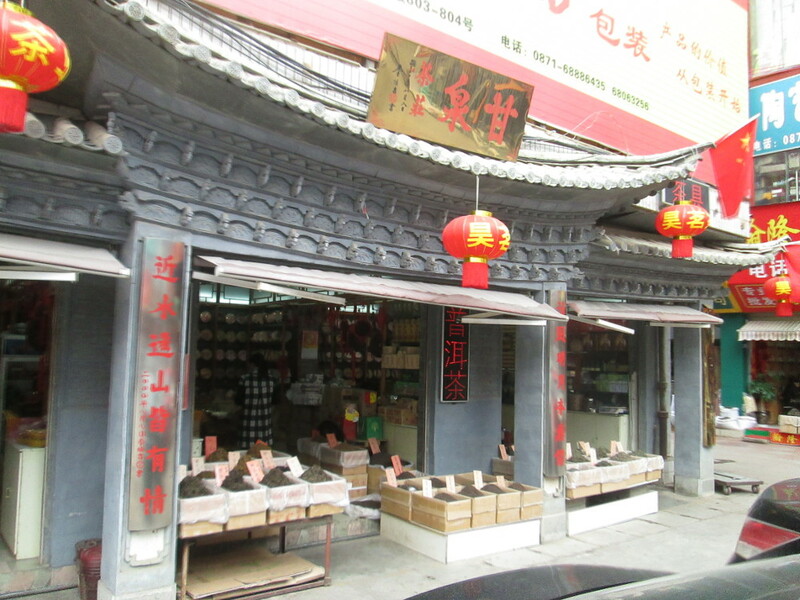 Right across Kunming, in the south of the city, is the big Kangle tea market. 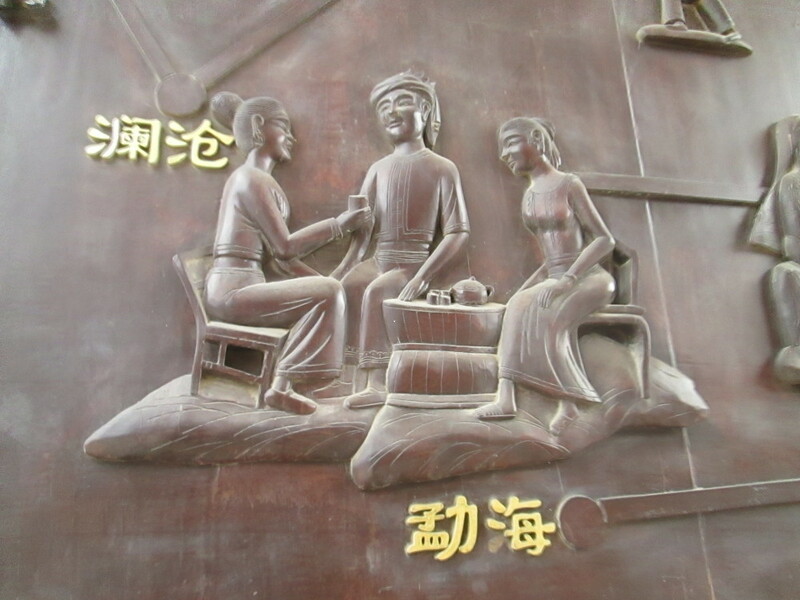 This is also worth a visit just for being an icon of the old tea route. 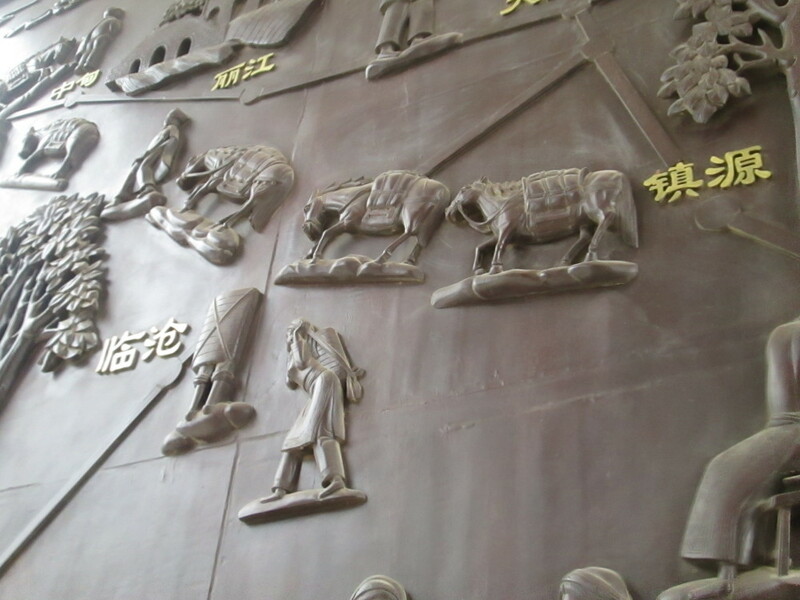 Its entrance has a fabulous mural with depictions of old tea traders starting the long trek west, through Tibet and on beyond. 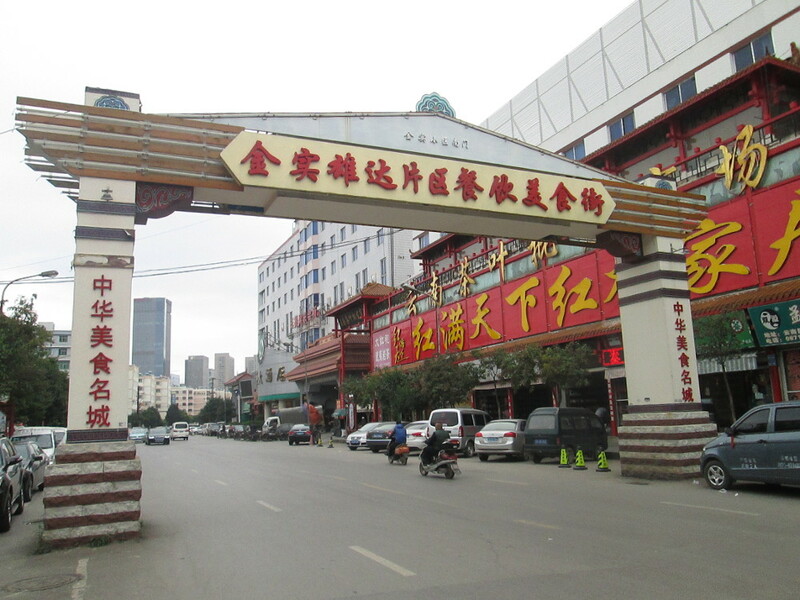 But Kangle is mainly a wholesale market, meaning the traders are there on an even bigger scale than at Jinshi (though the area it covers is probably slightly smaller). What struck us was just how many traders there are in one place. How on earth do they all stay in business? Since they didn’t act like your traditional raucous market stall holders back home, how on earth do they actually sell anything? And who does buy all that tea? 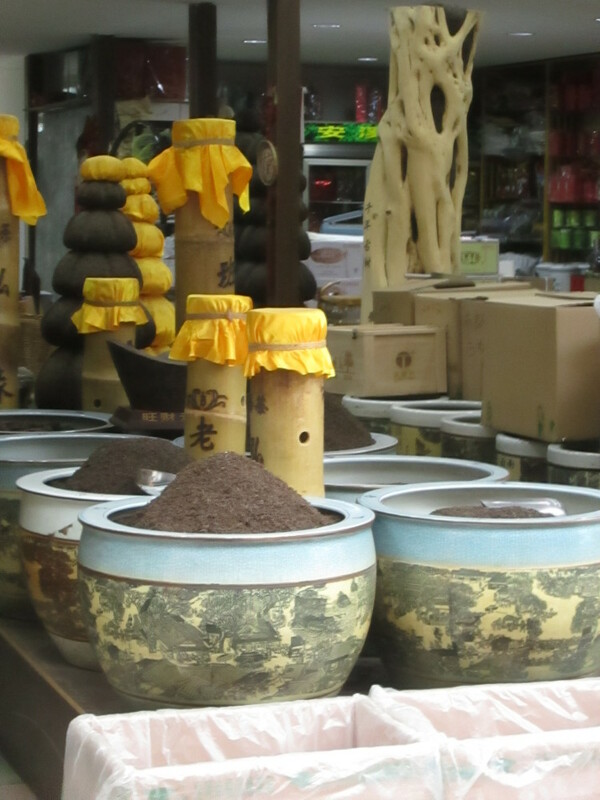 In any case, if you’re a tea lover, whether or not you want to buy tea, you shouldn’t miss one or both of these markets on any visit to Kunming. Having said that, there is nowhere nearby just to drop in for a cuppa without any intention to purchase. 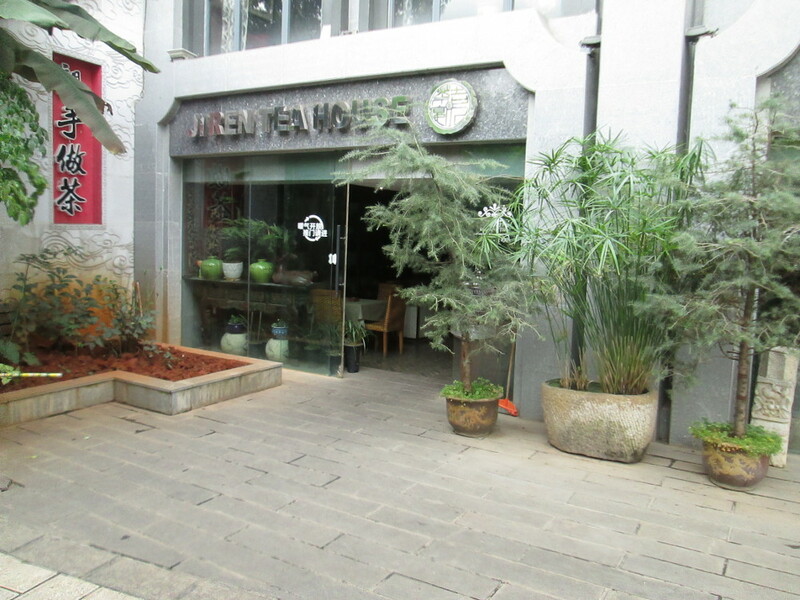 We did see one tea shop by the lovely lake in Kunming which had a table outside and people sitting with a flask one afternoon, but when we returned the next day intending to try Jiren Tea House, the table was put away and it appeared like yet another tea shop aiming to draw you in to sample before you buy. 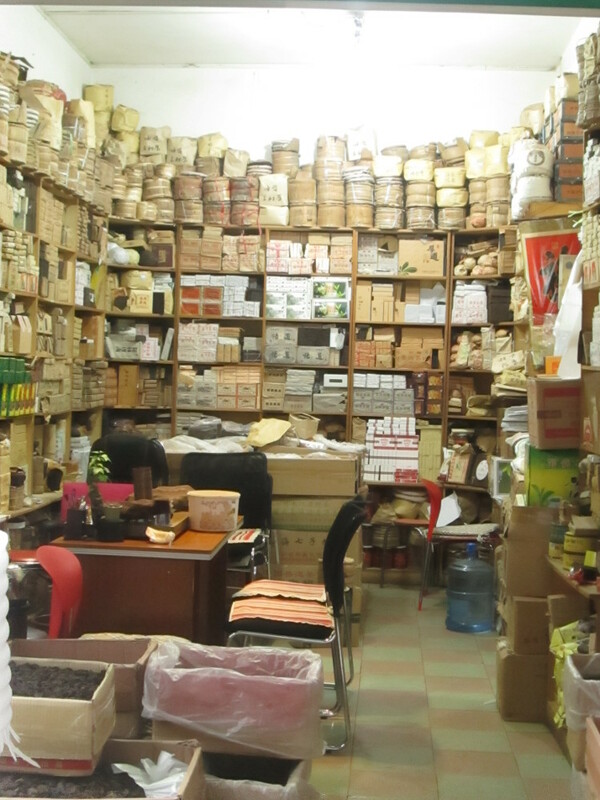 So, in the absence of a visit to Puer and other tea growing parts of Yunnan, Kunming, with its fantastic tea markets, made a pretty good effort to keep our tea interest alive on this section of our journey.